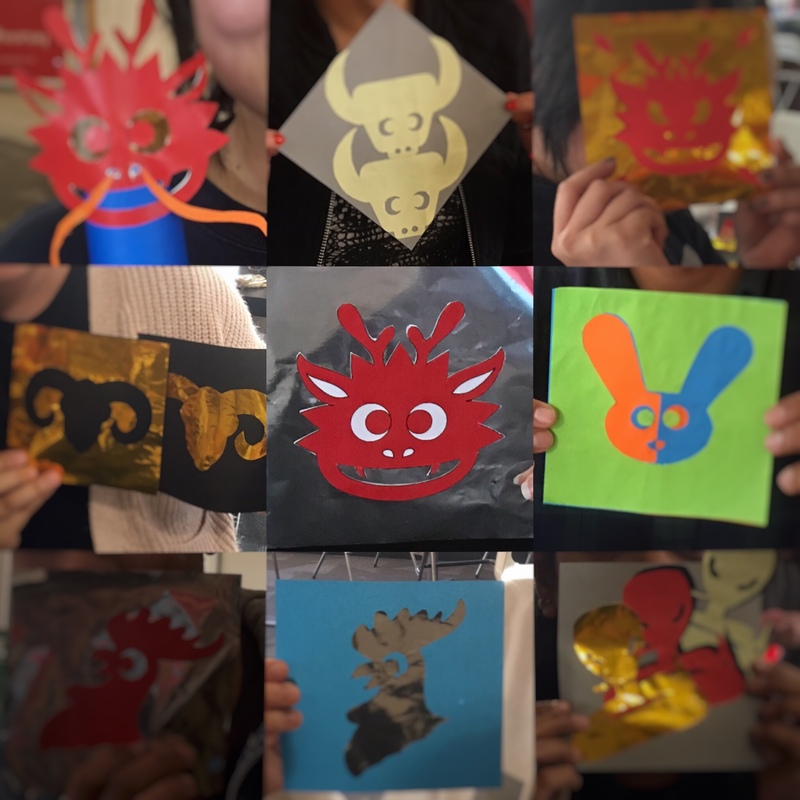 This is the third year in a row that I hosted a craft event in my company, in celebration of the Lunar New Year. Everytime when it comes close to that time, I can’t help but want to do something to celebrate my Chinese background. Other than that, there’s so much richness in Chinese culture. It’s worth making it a fun learning experience for people around me. 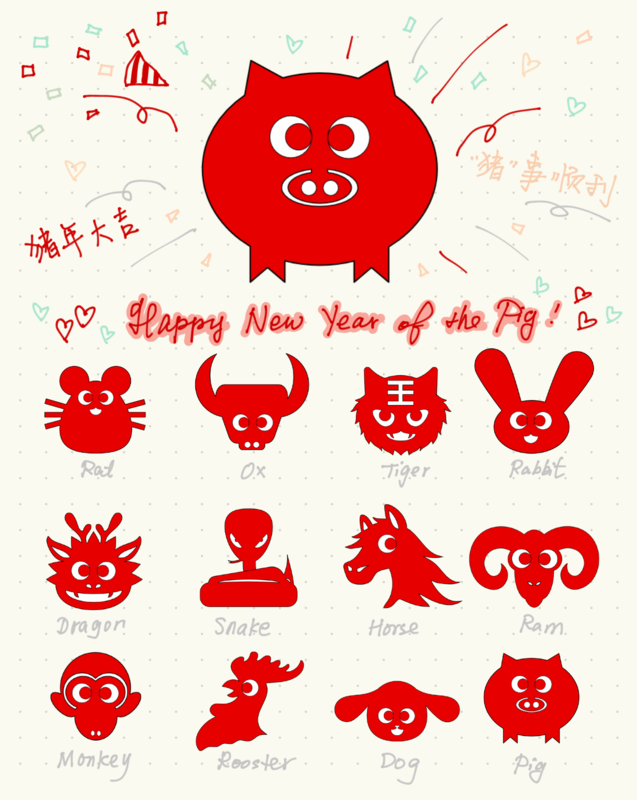 Traditionally, the twelve Chinese Zodiac animals could be drawing in a very sophisticated way. While they look nice, it’s hard for beginners to cut. Therefore, I made a set of vector illustrations in Affinity Designer, keeping them simple and cute. I made them into a printable PDF file, so that I can easily make multiple copies. I also brought tasty Chinese snacks for my co-workers to enjoy. More than 15 co-workers joined me, and it’s the biggest turnout for my New Year craft event yet. We had so much fun! Their creavity was beyond my imagination. Some added extra elements to the cut, some had multiple layers of paper it’s, and some others made it 3D like. When it comes to creavity, sky is the limit. 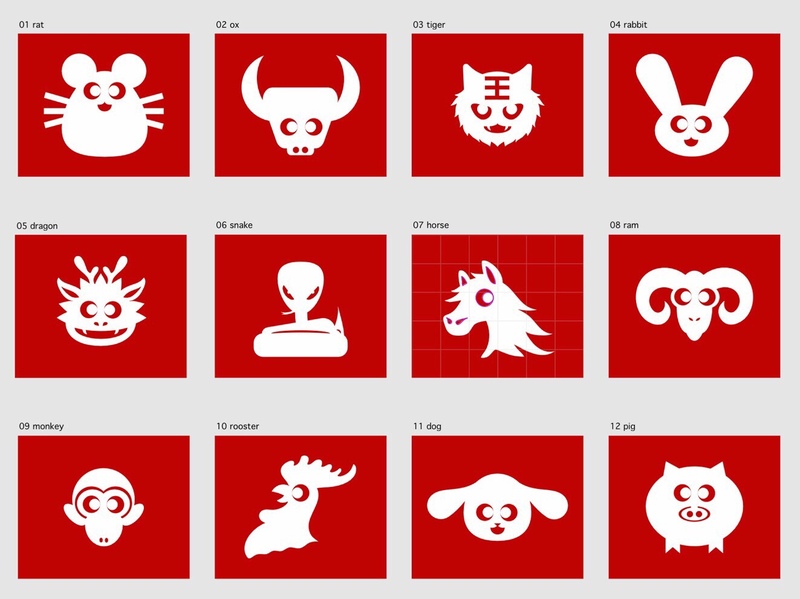 If you’d like to cut them too, let me know and I can send you a copy of the PDF.